I believe some classic desserts just never go out of style. 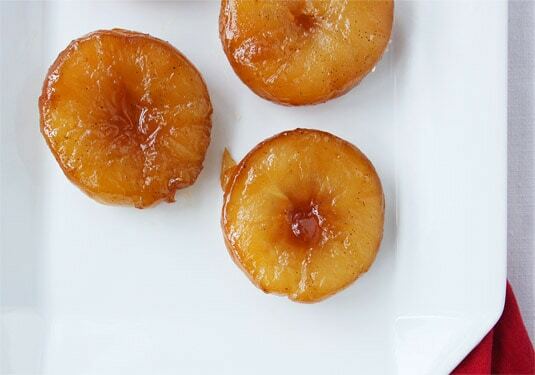 I feel this way about pineapple upside-down cake, Nanaimo bars and – of course – tarte Tatin. 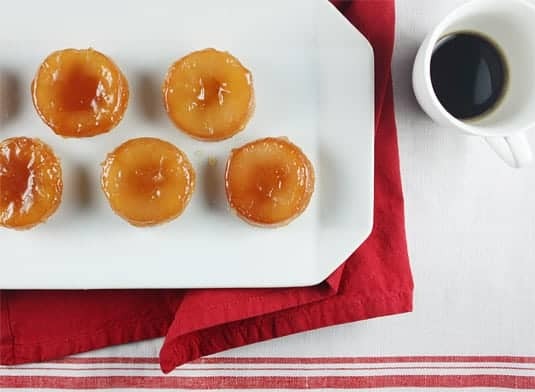 There’s something enticing about the simplicity of that century-old tart, in which fruits (usually apples) are cooked in a caramel, covered with pastry and then baked. The taste of the rustic tart fresh from the oven is refined and rich, its aroma intoxicating. 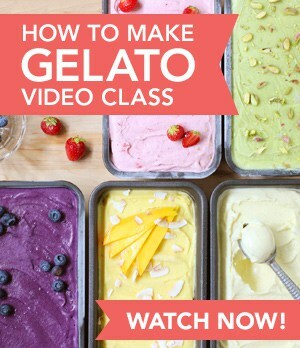 It’s one of the easiest desserts to put together and one of the most rewarding for the wow effect it produces. As it is often the case in the culinary world, the tarte Tatin was an accidental creation. 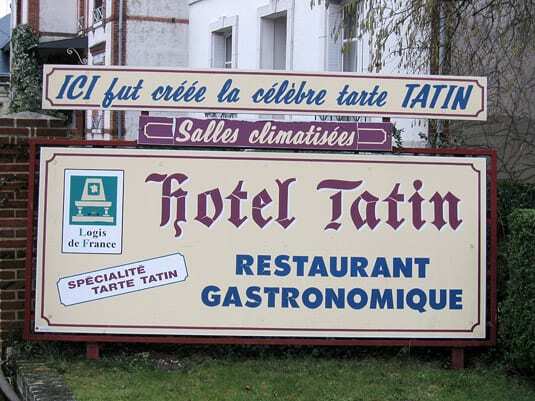 Stories differ, but most point to the Tatin sisters, Stéphanie and Caroline, who ran a restaurant in Lamotte-Beuvron, a small commune in the heart of France, at the end of the 19th century. According to the most popular story, Stéphanie, tired and overworked, was making a pie when she became distracted and let the apples cook in their butter and sugar for too long. When she discovered her mistake, she quickly covered the apples with pastry and put the whole pan in the oven. To her surprise, guests loved the upside-down tart. The tart became a classic at their restaurant and in the 1920s, their pie’s success was confirmed when Maxim’s restaurant in Paris started serving it. The rest is history! Photo (c) 2009 Croquant, via Wikipedia. As the “year of the pie” comes to an end, I have realized that I have baked very little this year. 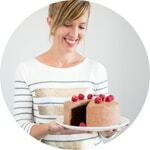 With the holidays fast approaching, I have plenty of opportunities to bake, but the problem is that I prefer making many different bite size desserts to share (dessert bar style) rather than serving just one cake or pie. While browsing through my books, looking for ideas, I stumbled upon Donna Hay’s little apple tartes Tatin. 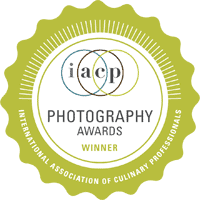 They looked fantastic and I thought they would be a hit for sure. I tested a couple of variations, because not everything went smoothly with Hay’s recipe the first time around. 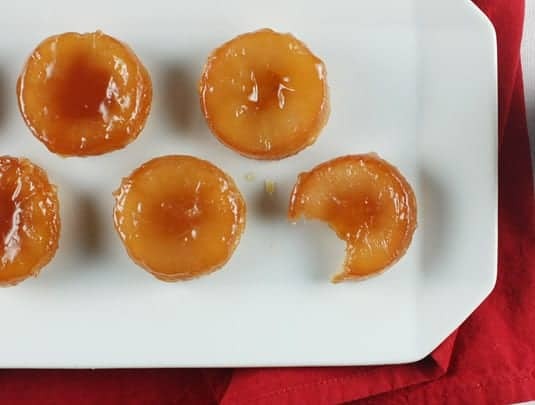 In a traditional Tatin, the butter and sugar are usually quickly melted together, then the apples are cooked in the sweet mixture for a while before the tart goes into the oven. 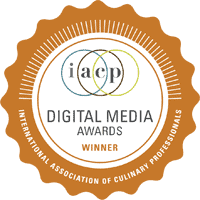 Since miniature Tatins take less time to cook, the caramelization process must begin right in the pan. Hay’s recipe recommends melting the sugar and butter together with a couple of tablespoons of water, but before the sugar had time to caramelize, the water had completely evaporated and the mixture was so grainy that I threw it away, thinking I had messed up. The second time around, I added more water halfway through. This time, the mixture turned out OK, but it made me think that making a more traditional caramel (sugar and water first, then stirring in the butter) would serve the recipe better. Then I went a bit more creative with the flavorings, adding vanilla and liqueur along the way. The result? Beautiful bites of perfection. Preheat the oven to 350°F [175°C]. Lightly butter 12 x ½ cup capacity non-stick muffin pan. 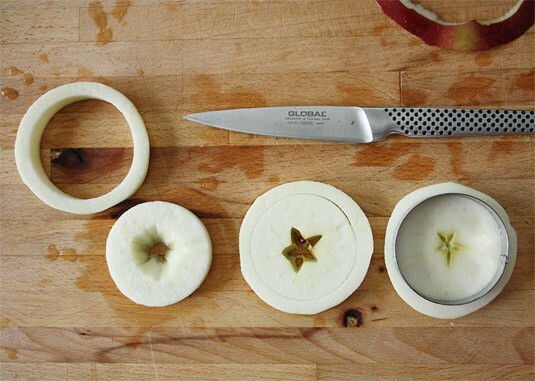 Peel the apples, then cut each apple into 4 thick slices. Dip each slice in lemon juice and rub it all over to prevent browning. Using a round cookie cutter slightly larger than the bottom of one of the muffin molds, cut out apple rounds, then carefully remove the pits and core, making sure not to break each round. 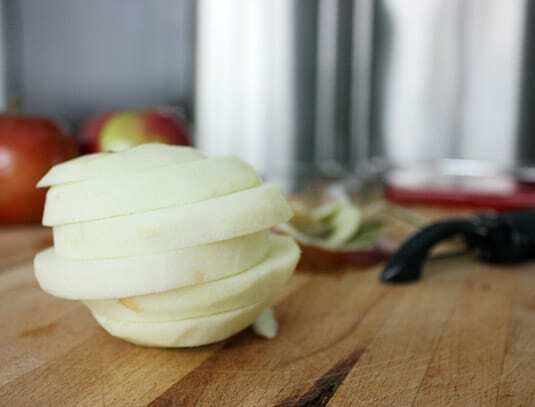 Rub a little lemon juice in the cored center of each apple slice. Reserve. If using, split the vanilla bean lengthwise, then scrape off the seeds. 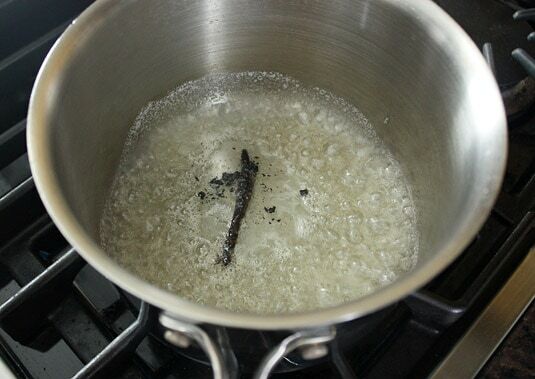 In a medium saucepan, stir the sugar, water, Cognac (or Calvados) as well as the halved vanilla pod and scraped seeds together over medium heat. Let it slowly come to a boil. 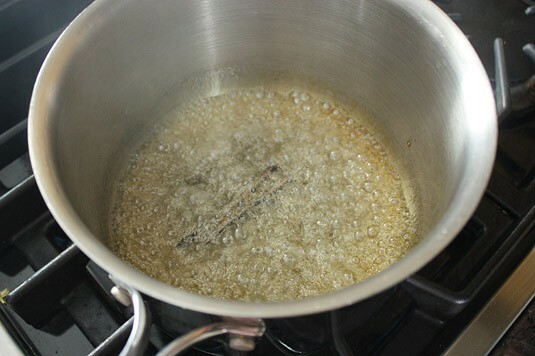 Continue to cook for about 5 minutes, or until the mixture is a light golden color. Keep a close eye on it at all times and swirl the pan around once in a while, or use a silicon spatula to stir the mixture around, so it caramelizes evenly. 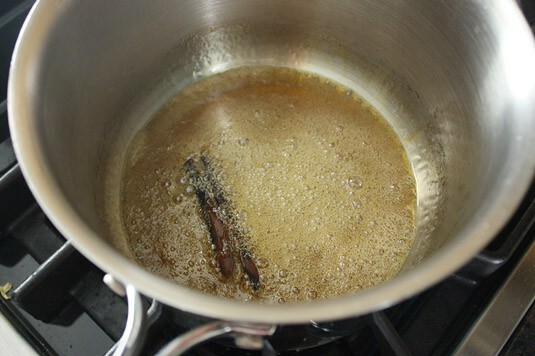 Be very careful when stirring because caramel burns very badly. 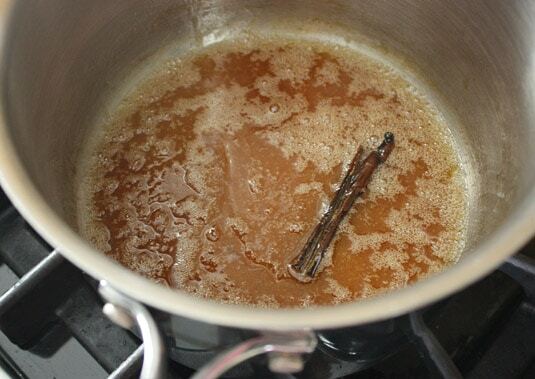 Once your caramel is ready, take it off the heat. Make sure you do so when it had a light golden color, because it’ll keep on cooking a bit due to the residual heat. 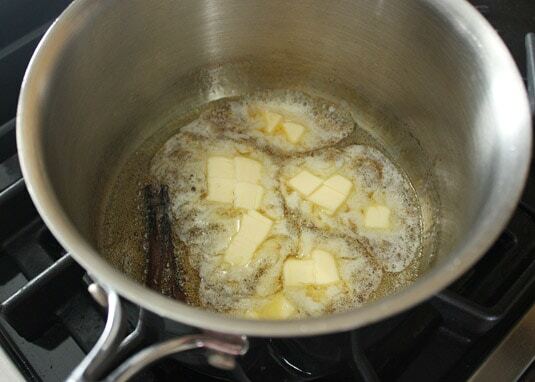 Stir in the cubes of butter and mix well. Place a large skillet over medium heat, then pour the caramel into this skillet. Don’t worry if your caramel has hardened a bit, it’ll melt as it’s heated again. 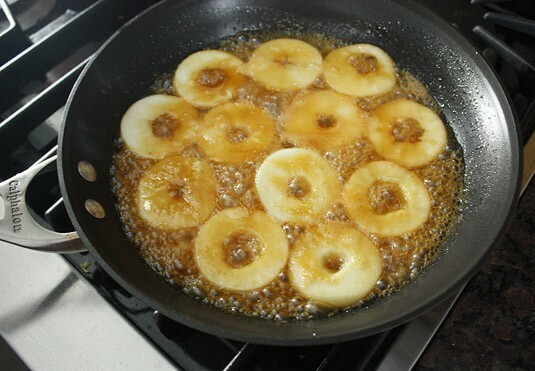 Scatter the apple slices in the skillet, making sure they don’t overlap. 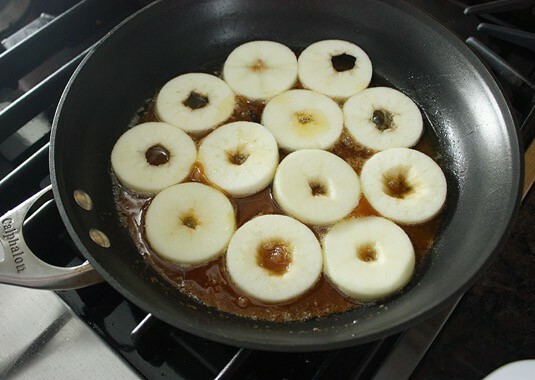 Cook for 5 minutes without moving the apples, using a spoon to pour some of the caramel over the slices once or twice over the cooking process. 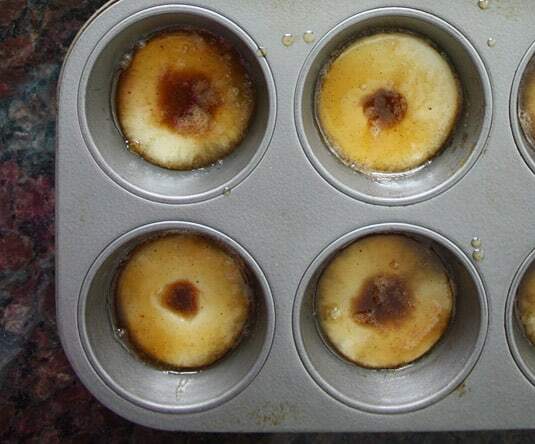 Distribute one apple slice into the base of each muffin mold, then top with the caramel mixture. Discard the vanilla bean. Roll out the pastry on a lightly floured surface until 1/8-inch [3-mm] thick. Cut out rounds of the pastry to fit inside the molds (it’s better to cut the pastry slightly larger than the apples, as it will shrink a bit while cooking). Bake for about 15 minutes, or until the pastry is puffed and lightly golden. Allow to stand for 10-15 minutes before carefully lifting each tartlet using a small spatula. Spoon any remaining caramel over the tartlets and serve warm or cool. The tartlets keep surprisingly well, refrigerated for 3-4 days in an airtight container. Do you think this will work with one of those silicon muffin trays? 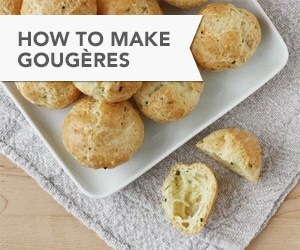 I'm making these tomorrow! I'll let you know how they come out…. 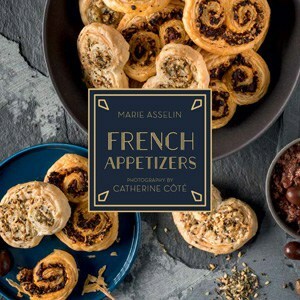 These look fantastic – perfect for holidays. Yum, so cute too!